For those with a fondness for paper book reading, no ebook or book app or shiny, portable reading device can compare to the real thing. Some will cite their appreciation for quality paper stock and gorgeous typesetting. Others may tell you they love the smell or feel of books. And quite a few printed paper book diehards will say that there is nothing like a bound book for a truly engaging reading experience. For many, the buttons and screens and links are anything but enhancements. research center/start-up called Ricoh Innovations is leading the way. recognition engines, and are hoping that publishers will recognize the opportunity that their particular approach to visual search can offer to the reading experience — bridging the physical book with online media. technology regardless of how their books are designed or printed. is not dependent on language, font or characters. opportunities digital provides for consumer research. 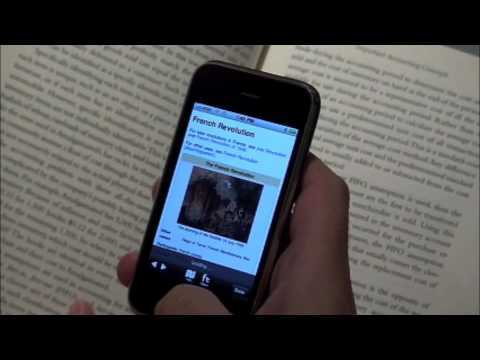 For books connected via visual search, the apps “phone home” with data on a regular basis. digitally inclined alike, books embedded with RI’s visual search offer the best of both worlds. companion app for Hesperian’s Where There Is No Doctor. videos of procedures described in the book.